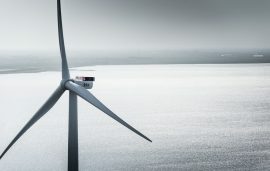 MHI Vestas Offshore Wind has signed a firm order with Two Towers Consortium for the Borssele V offshore wind project, for which the turbine supplier will deliver two of its V164-9.5 MW turbines. 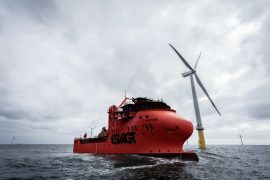 MHI Vestas and Esvagt have signed a contract for a Service Operations Vessel (SOV) that will be deployed on the Moray East offshore wind farm from 2021. 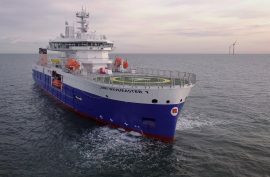 Subsequently, Esvagt placed an order with Havyard, which will design and build the new vessel. 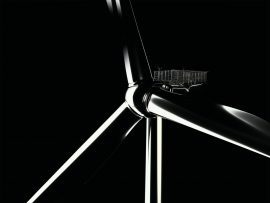 MHI Vestas has promoted its current Vice President of Europe Sales Hans Henrik Jensen as Chief Sales Officer. 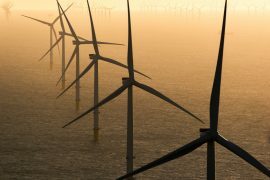 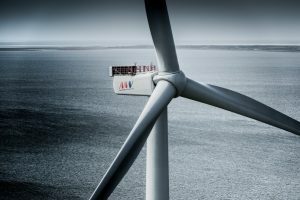 MHI Vestas and Moray Offshore Windfarm (East) Limited have signed a firm turbine supply order for the 950MW Moray East offshore wind farm in Scotland. 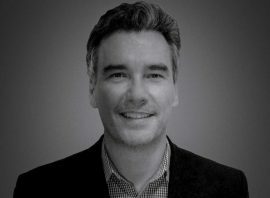 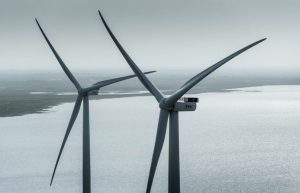 MHI Vestas Offshore Wind has appointed Jason Folsom to its team, marking the company’s first official hire in the U.S. market. 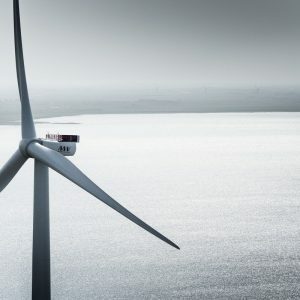 Massachusetts-based offshore wind developer Vineyard Wind has selected MHI Vestas as the preferred wind turbine supplier for the 800MW Vineyard Wind project. 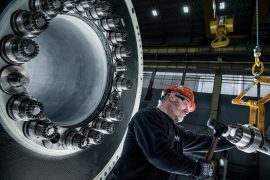 MHI Vestas will increase annual production at its nacelle factory in Lindoe, Denmark, to keep pace with offshore wind turbine demand, and is kicking off a recruitment process for 50 new employees. 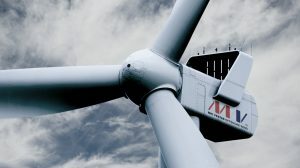 MHI Vestas has signed a Memorandum of Understanding (MoU) with Northland Power and Yushan Energy to provide wind turbines for the 300MW Hai Long offshore wind farm in Taiwan. 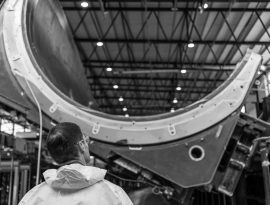 MHI Vestas has received a new blade mould at its factory on the Isle of Wight, UK, as part of manufacturing expansion efforts. 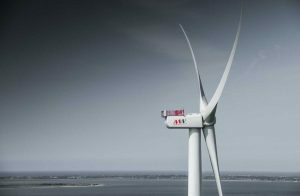 MHI Vestas has signed a conditional contract for the manufacture of towers in Taiwan with a partnership between with CS Wind and Chin Fong. 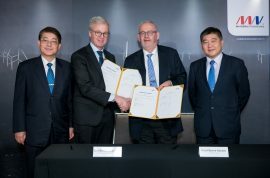 The companies held a signing ceremony in Taipei City on 30 October. 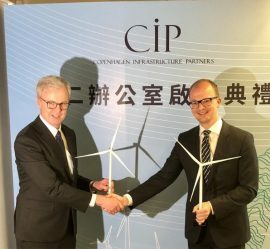 MHI Vestas Offshore Wind and Copenhagen Infrastructure Partners (CIP) have signed a localisation agreement for offshore wind projects in Taiwan. 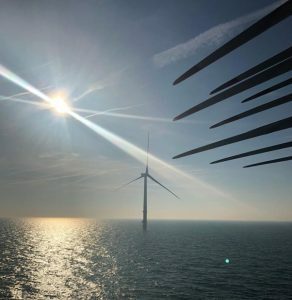 Bibby Marine Services and MHI Vestas have signed a charter agreement for the Bibby WaveMaster 1 covering the 2018/2019 winter period. 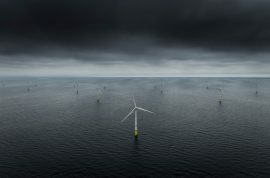 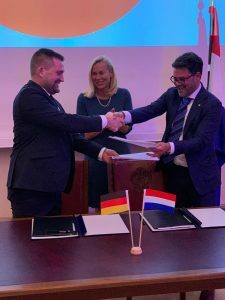 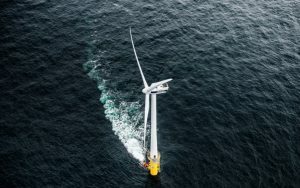 EDF Renewables North America has selected MHI Vestas Offshore Wind as the preferred supplier for the Nautilus Offshore Wind project off the coast of Atlantic City, New Jersey.ersey. 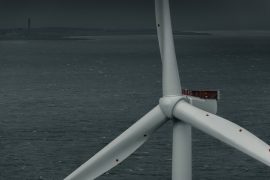 Boston Energy has secured work with MHI Vestas for the pre-assembly contracts to be delivered at the Port of Vlissingen, the Netherlands.